The majority of our support comes from generous governments from around the world, however we recognize that every little bit helps and that even a single person has the ability to support the cause of peacekeeping. The grants we receive and the donations you send us are what enables POTI to provide high quality, low cost courses to individuals around the world. Help peacekeepers receive the training they need to perform their jobs in a professional manner. For every $10 USD we receive, we are able to provide a training course at no cost to a student in need. Due to recent abuse of our PayPal system, we have had to suspend the processing of donations through our website. Donates can be made by contacting POTI at +1 757 253 6933 (voice) or +1 757 253 6954 (fax). Photo submitted by a POTI student. 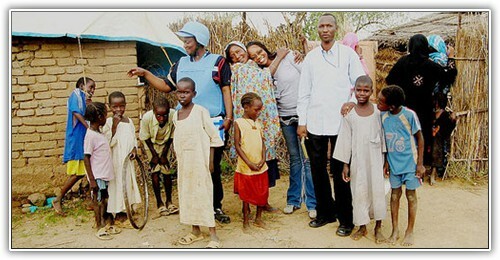 UN peacekeepers in Darfur. Every effort is made by POTI to keep operating expenses at a minimum so that we can maximize the effect each dollar we receive has on a student's education with us. You can find a summary of our 2015 financial information here. For every dollar received by POTI, we are able to pass on 87% directly to student programs. The figures presented above are condensed from the audited financial statement prepared by William U. Sykes, Certified Public Accountant, PLLC. For a copy of the full financial statement, please contact POTI.